Fruitcake is not good. That is less a personal opinion and more an objective truth. Those rock-hard logs of spiced and candied fruit and nuts have become a holiday-themed punchline, but boy do they keep. 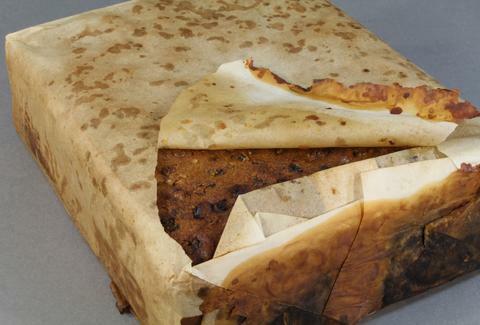 In fact, any run-of-the-mill fruitcake could easily outlive you, considering researchers with the Antarctic Heritage Trust just uncovered one on the southernmost continent that's at least 100 years-old, and it's in "excellent condition." 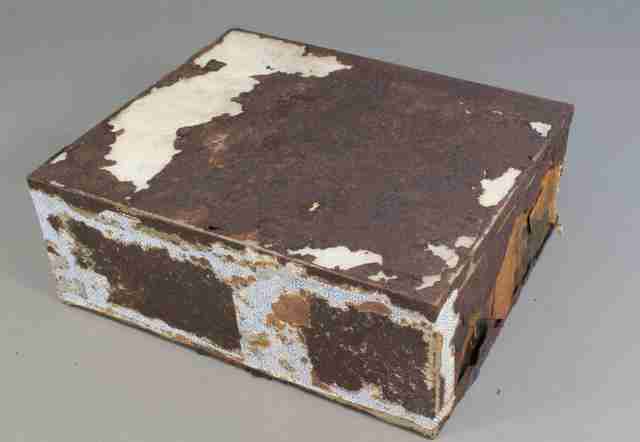 The cake in question was discovered wrapped in paper inside a decaying tin box in an abandoned hut on Cape Adare, Antarctica's Northeastern-most peninsula where many early Antarctic explorers would land and kick off their expeditions. Fruitcakes were (and are) a popular food to bring on Antarctic expeditions, because they're nutrient-dense and provide lots of energy relative to their mass. According to the conservators who found it, this one still looked and smelled good enough to eat. The pastry, which was manufactured by a long-gone biscuit maker known as Huntley & Palmers, is thought to date back all the way to the Terra Nova Expedition (a.k.a. the British Antarctic Expedition) between 1910 and 1913. The expedition, which was a primarily scientific venture, ended in catastrophe when the entire crew died on their way back to Cape Adare. The British captain who led the expedition, Robert Falcon Scott, was known to have brought Huntley & Palmers-brand fruitcakes with him on the trek, and there's a grim reason why it would have remained uneaten back in one of the huts. The discovery occurred during an ongoing project to restore the huts and conserve artifacts found on Cape Adare. And as curious as we are to know exactly what a 100-year-old fruitcake tastes like, the conservators are under orders to return it as-is once the huts are restored. But let's be honest, could it taste any worse than a fresh one?